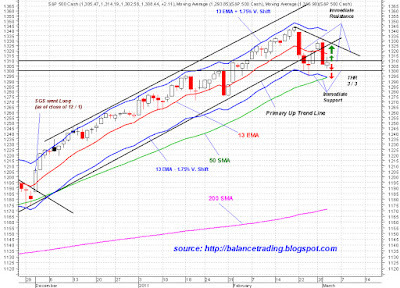 All major indices expect for TRAN are still above their 50 D-SMA. Average and even below average volume on down days. Number of new lows not expanding on NYSE or NASDAQ on down days. No panic selling of large or small caps on down days. TRAN below its 50 D-SMA for 7 trading days now. Bear flags on major US and world indices. Oil above $100 and unrest in ME. 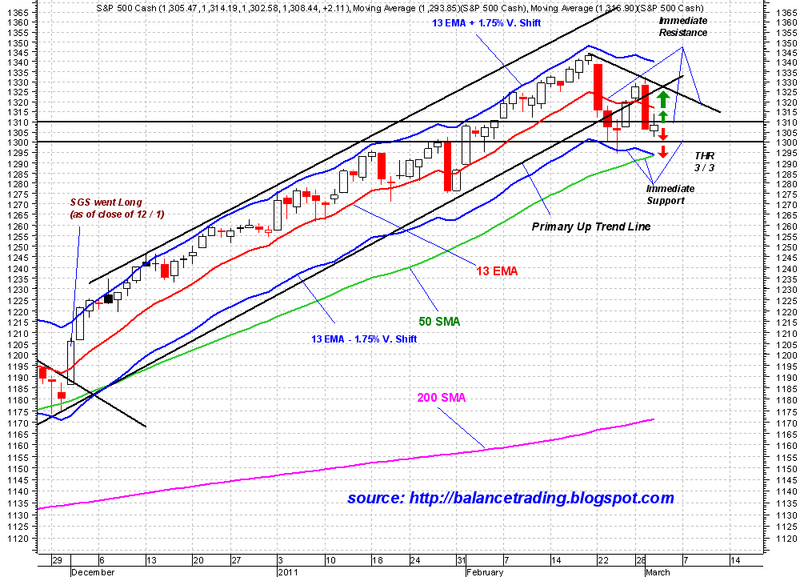 Tomorrow Bears will try to take SPX down below its 50 D-SMA (currently around 1294). Chances are good that side money comes in and buys that dip, I know I would. Tomorrow will be either a huge up day or a huge down day. Best scenario is a moderate sell off to SPX 1294 initially, then finishing up with a big rally and closing above SPX 13 D-EMA (1317) with good volume. I think Bulls will get their wish.